Airplane hangars are NOT just for airplanes anymore! RVs, boats, car collections. . .all your toys can fit! 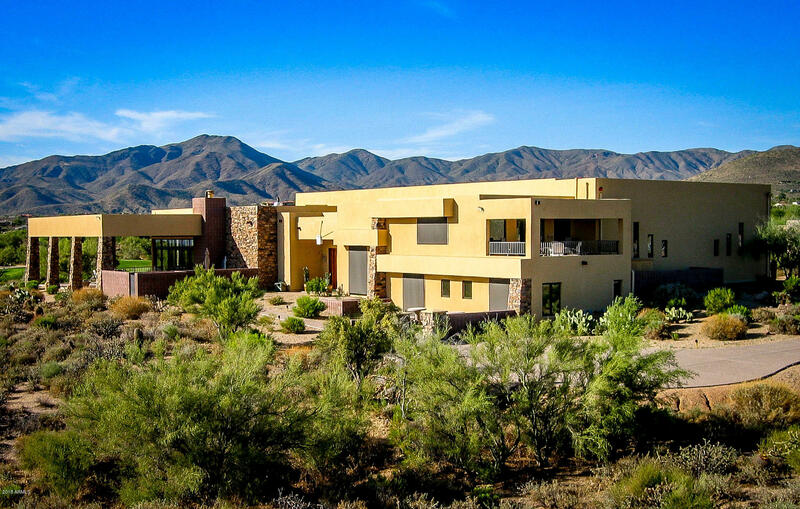 Skyranch's widest hangar and a premiere and stunning contemporary masterpiece, on the runway and also a prime GOLF COURSE LOCATION ON DESERT FOREST COURSE. No expense was spared during construction of this whimsical dream home, perfect for entertaining with wonderful patio views. 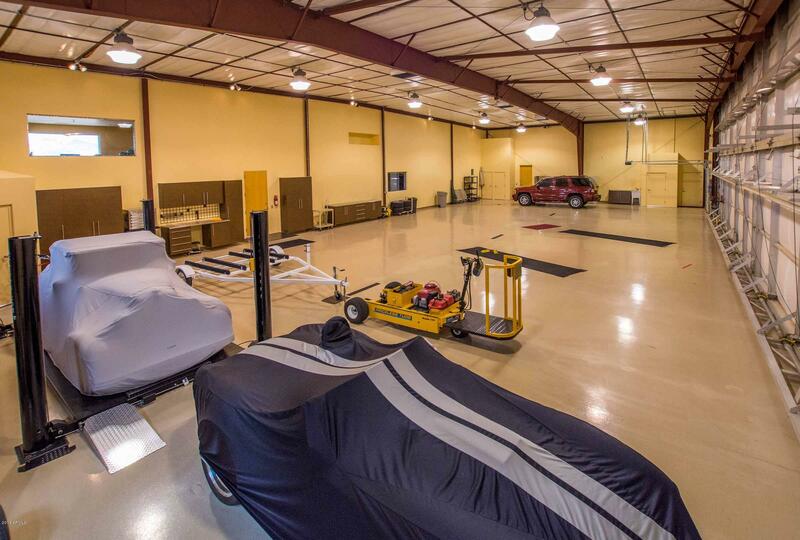 Enjoy a functional super-sized 90 ft. wide facility to store and showcase your toys! (4348 sq.ft) 16 ft clearance and holds a King Air, Citation or 20 cars, boats, RVs!! Even an RV hookup and full epoxy floor. The Great Room takes in the mountain and golf course views. Large view windows into the hangar from the front entry and office. Upstairs office w/private view balcony Pvt pool,viking range, more! Subdivision: CAREFREE AIRPARK ESTATES Large 90 ft-wide-hangar!